ORTHODOX ICELAND: Bishop Dositej of Serbian Orthodox Church will serve the Divine Liturgy in Neskirkja and in St.Nicholas Orthodox church. 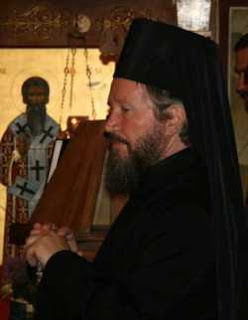 Bishop Dositej of Serbian Orthodox Church will serve the Divine Liturgy in Neskirkja and in St.Nicholas Orthodox church. On Saturday, the 22nd of September, the Serbian Orthodox community in Iceland celebrates the parish feast (called 'Slava' in Serbian) – the Nativity of our Most Holy Lady the Mother of God and Ever-Virgin Mary. On the same day the Serbian Orthodox community in Iceland celebrates its10th anniversary. On the occasion of this feasts the Serbian Orthodox Bishop Dositej of Britain and Scandinavia visits Iceland. On Sunday, the 23rd of September, Bishop Dositej will serve the Divine Liturgy in St.Nicholas Orthodox church (Oldugata 44). The Confession starts at 9:30. The Divine Liturgy starts at 10:00 a.m.